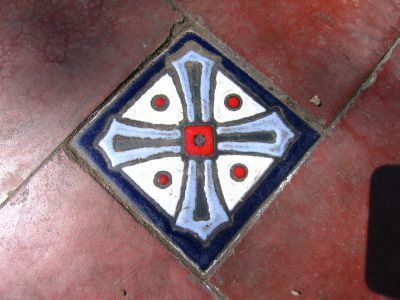 the entry way to my home for five weeks, the damajuana hostel in mendoza, argentina. 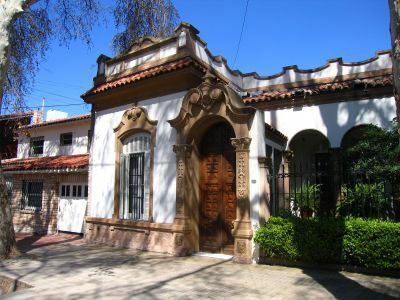 there are some nice homes in mendoza. 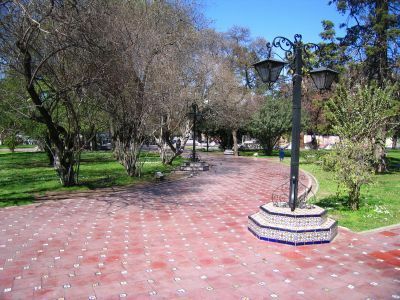 some nice parks too. 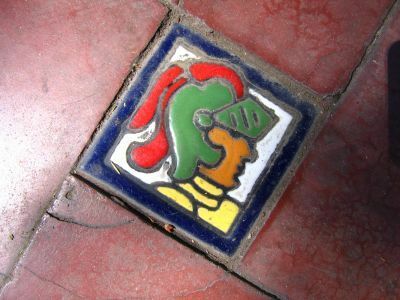 the red sidewalk is dotted with cool ceramic tiles. 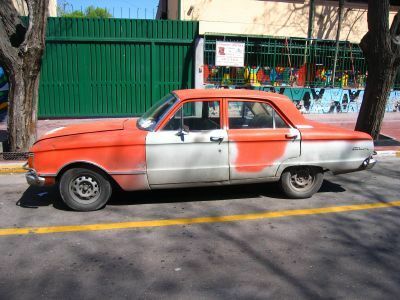 i love old cars, and mendoza has plenty of them rumbling around its streets. 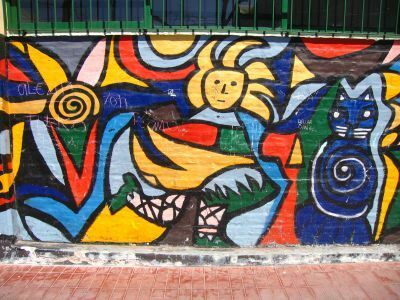 the school children have painted the wall of their school in some vibrant colors. 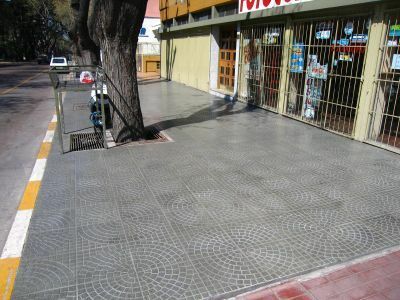 the sidewalks of mendoza are wide and have giant trees sprouting from them. 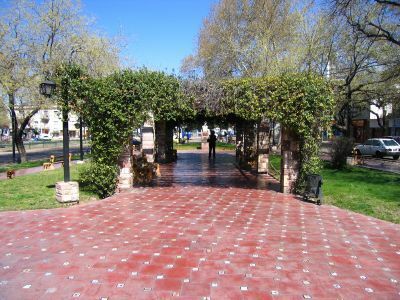 the red sidewalk winds into plaza espana, one of five picturesque plazas in mendoza. 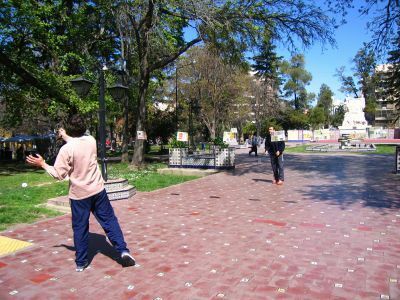 some guys crafted a "net" from papers and a string, and then played badminton in plaza espana.